Normally this time of year I would be sharing pictures of my garden and flowers shining in all their glory, but this year I felt like I should be standing side by side with Noah and his family building an ark. Needless to say we have lost several plants as well as new grass due to several flash floods in our area this spring and summer. We sit high on a hill, but the ground can only take so much water in such a short amount of time. I will stop complaining right here because so many people have had it so much worse. Therefore, since there is no point in trying to garden, I have spent more time painting and sewing. I'll share my paintings soon, but today since the sun was shining for a few hours, I decided to photograph my "Friendship Braid" quilt that I just got back from our local quilt shop. I had them machine quilt it for me and I put the binding on myself. I love the name of this quilt as well as the design. I think of great friendships woven together when I look at this design and the title seems so fitting. 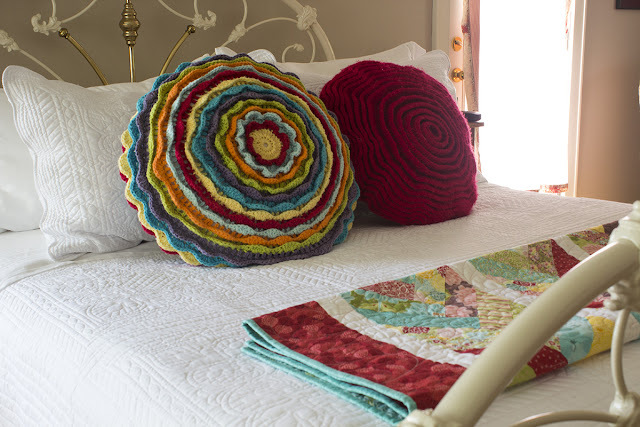 I love bright colors combined with crisp white and have decided to use this lap quilt at the foot of my bed ready to grab for a quick power nap. 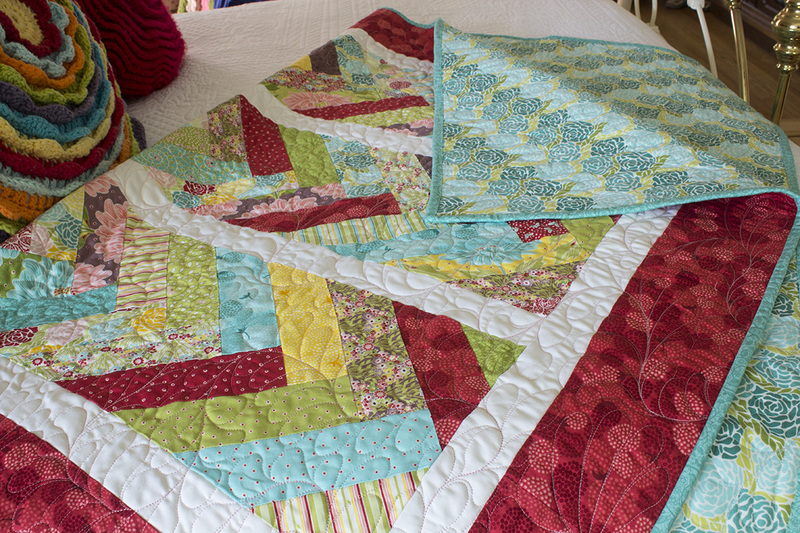 I've added the video instructions to this post in case you want to give this quilt a try. It's sink or swim here and I decided to get my act together and get some things done despite the weather! What do you do when the weather keeps you inside? Keep your chin up and your nose above water! 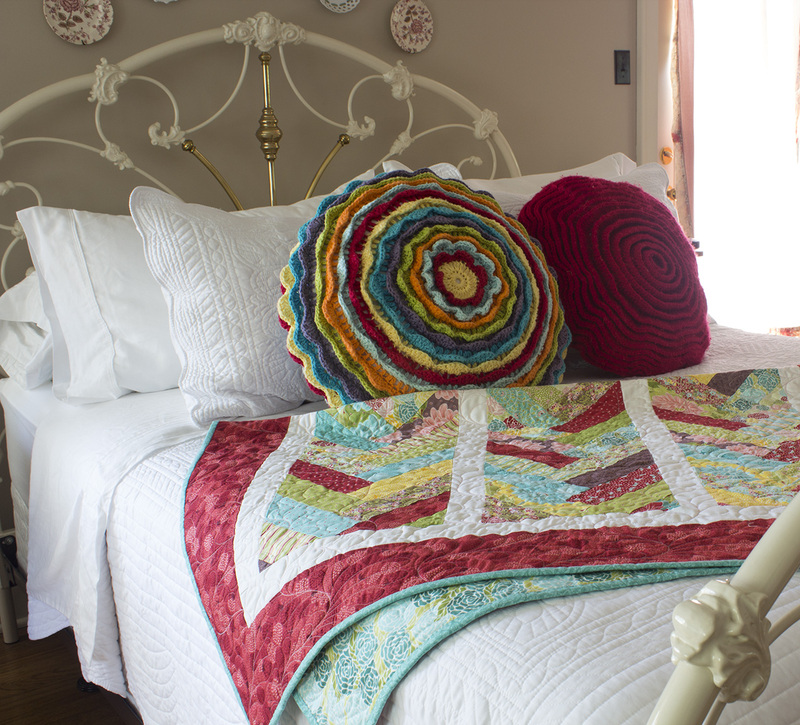 Beautiful quilt, gorgeous colors! They really do pop against the white coverlet. We have had a lot of rain, too, but I am going to stop complaining because you have had it so much worse. Hope that this weather pattern moderates before summer is gone. Good thing you have a list of inside projects. 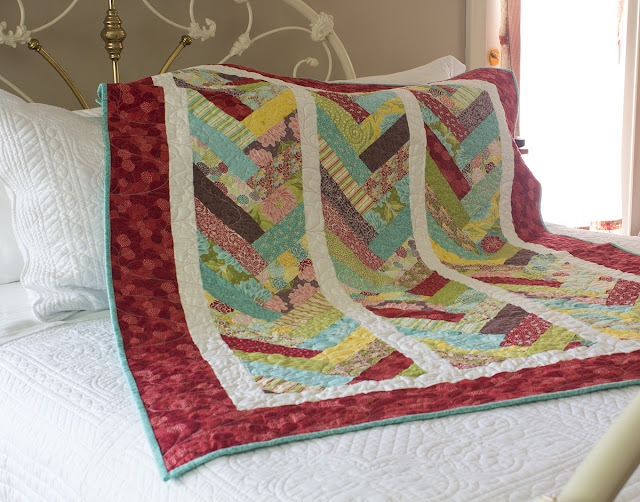 great quilt, and thank you for the link, it's been a very long time since I quilted, but the thought of a quick nap sounds wonderful.